This vineyard designate wine will be bottled in late fall and will be released in November of 2019. We are offering a chance to pre-purchase a six pack of this wine at 15% off of the normal price. You can have the option of having your purchase shipped in early November or it can be picked up at the winery Thanksgiving events. Only 80 cases will be produced so please reserve your six pack now. 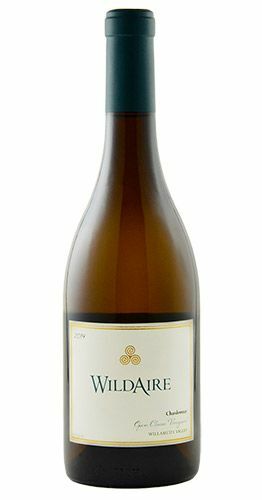 Fresh tree fruits weaved with hints of nutmeg that drift into a creamy texture. This wine shows an intensity and freshness of fruit that is tensioned nicely with mouth watering acidity. Foot treaded, soaked, pressed, barrel fermented and aged in French Oak. Open Claim Vineyard is owned by Brett and Marnie Wall and is located in the Willamette Valley AVA near Dallas, Oregon. With an elevation of 420 to 300 feet this 20 acre organically farmed vineyard has vines spaced at 6’ X 4’ for a vine density of 1815 vines per acre. The site is a mix of marine and volcanic based soils with Bellpine and Jory being the 2 predominant ones. The vineyard sits in the eddy of the Van Duzer Corridor so it’s usually warmer than other sites near the Corridor. We sourced Dijon Clone 76 and 95 Chardonnay from Open Claim and the resulting wine has a distinct signature of apple, lemon curd, and hints of white flower that jump from the glass. The 2018 vintage was yet again one of the warmest growing seasons in recorded history in the Willamette Valley. It began with a warm Winter that gave way to a wet early Spring. Moderate temperatures in late Spring led to ideal growing conditions throughout the region and continued into summer. The sunny days and cool nights continued into late October which allowed extended hang times with very ripe fruit. Total Degree Days for McMinnville topped out at 2570 with wineries reporting higher yields and little need for extensive hand sorting on the crush line.e.